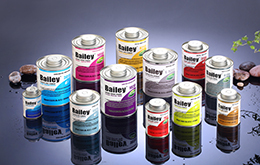 Products - Taizhou G-Good Adhesives Co., Ltd.
Bailey® plastic pipe cements are mainly applied in PVC, UPVC, ABS and CPVC piping systems sheets for industrial/domestic applications. All products are designed with high strength, excellent environment-friendly & healthy features, and manufactured in accordance with local & international requirements like Unite States ASTM, NSF, China GB. The Low VOC series products also meet United States air quality standard SCAQMD rule 1168/316A. GYSI MultiPurpose™ is specially designed for industrial assembly. It can bond almost all common materials, so widely used in a variety of products assembly and installation.Some of GYSI multipurpose adhesives with transparent color can bond metals directly and mutually bond different materials without leaving any bonding tracing. GYSI multipurpose adhesives are not only convenient to use, with a high bonding strength and a wide applications, but also environmental protection to make customers more ease to use. 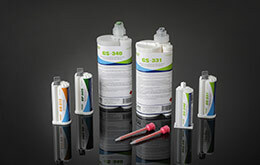 GYSI ComPosiTite™ structural adhesives with excellent toughness and fatigue resistance, high peel strength. 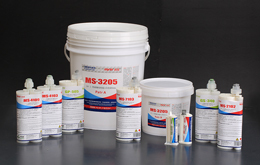 Methacrylic acid with the well-known excellent ability to bond a variety of substrates. GYSI high-strength structural adhesive is available for structural bonding among most of the thermoplastics, composites and metals. It is also capable to bond materials with inert surface, especially polyolefins substrates, such as polyethylene, polypropylene, PTFE and brass, etc.